In May of 1972, the Robert Smith family moved to the Vernon area. Concerned that there was a need for an independent Bible Baptist Church, Robert started a mission of the Grace Bible Baptist Church of Springfield, Missouri, with a bible study. Twelve people attended that first meeting. Within the first month, the group had become too large to meet in a home and moved to Vernon Center Middle School. On December 9, 1973, 18 months after its first informal meeting, Grace Bible Baptist Church was officially organized with 45 charter members. The congregation continued to grow,emphasizing Bible teaching and personal witnessing. The church began a worldwide mission’s outreach, sending monthly support to missionaries approved by the church. Between 1973 and 1982 several faithful members surrendered to serve the Lord in the gospel ministry. In 1979 the former building of Trinity Lutheran Church on Prospect Street in Rockville became available, the property was purchased and Grace Bible Baptist Church had a permanent home. March of 1983 brought a change to the church, as Pastor Smith resigned. In April, David Davis was called to be the new pastor. Before coming to Grace Bible Baptist Church, David and his wife Dorothy had served in churches in Michigan, Massachusetts, Connecticut and New York in various capacities. Pastor and Mrs. Davis reside in Ellington. They have four grown children and now enjoy their grandchildren. Pastor Davis has been involved with regional and national fellowships of pastors serving in different capacities and serving as a board member of Heartland Baptist Bible College. 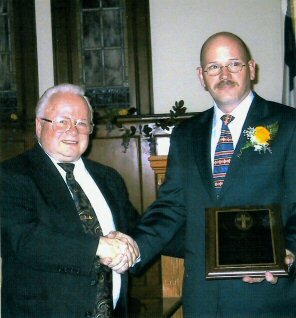 In 2004 Pastor Davis went to Baghdad, Iraq with a group of pastors to help start an independent Bible Baptist Church. In 2008 Pastor Davis visited the Democratic Republic of the Congo with another pastor and missionary to begin starting churches in the eastern region of the DRC and Burundi. In May of 2008 the church sold the Prospect Street building and purchased the property and building at 1151 Hartford Turnpike where services are currently held. Our church rejoices and gives praise to God, our Father and the Lord Jesus Christ that He would place His hand of blessing on us. It is our prayer that the Holy Spirit will continue to empower us in the great work of proclaiming the gospel of Jesus Christ to the whole world. It is His church, He is the Head and we are His body. Without Him we are nothing. Fervent obedience to the Great commandment and the Great commission has been the philosophy and purpose of Grace Bible Baptist Church from the beginning. There is a fantastic future before us. Let us expect great things from God and attempt great things for God. May He find us faithfully laboring together for Him when He comes.